You may have noticed: Hardware investing is in vogue. Andy Rubin, creator the mobile operating system Android, recently launched Playground Global to advise device makers in exchange for equity. Formation 8 is raising a $100 million hardware-focused venture fund. That’s saying nothing of the seed-stage fund Bolt, which raised $25 million a few months ago, and the numerous accelerators now focused on backing hardware startups, including Haxlr8r, Lemnos Labs, and Highway1, which is an offshoot of the custom design manufacturing company PCH International. 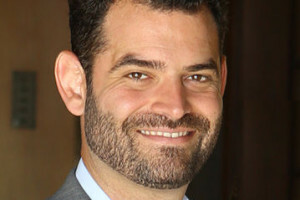 Now, the Bay Area has yet another entrant on the scene: San Francisco-based Root Ventures, which just closed its debut, hardware-focused fund with $31,415,927 (the first 10 digits of Pi), capital that it raised from a gaggle of high-net-worth investors along with the fund of funds manager Cendana Capital. Root Ventures is a single-GP fund founded by Avidan Ross, a trained engineer who was previously CTO of the private equity firm CIM Group. Ross isn’t widely known (yet) in press circles, but a growing number of venture capitalists and entrepreneurs have grown acquainted with him through the roughly 10 bets he has placed in recent years with the help of his friends’ capital. Some of Ross’s older bets include Wallaby Financial, a mobile finance company that was acquired by Bankrate in December for an undisclosed amount. Another is Skycatch, an aerial robotics platform that received its first check from Ross and which has gone on to raise $24.7 million altogether, including from Google Ventures. Ross also wrote the first check for Momentum Machines, a company whose robots turn raw ingredients into packaged hamburgers without human intervention. It just raised an undisclosed amount of follow-on financing from Founders Fund. Ross, who raised much of his new fund late last year, has made three newer investments on behalf of Root Ventures, where he plans to make concentrated bets, and to write first checks in the range of $500,000. The most recent of its portfolio companies is operating in stealth mode, but it’s easy to see the appeal of the others. Mashgin — company Ross met through entrepreneur friends — has developed an automated checkout kiosk machine that employs computer vision to identify any object on a surface (down to the different-flavored Snapples, says Ross). The big idea: to create a far more seamless experience for shoppers. The company graduated late last year from Y Combinator and is about to announce a “significant” amount of follow-on funding, says Ross, who wrote its first check. Others must like it, too. Prynt recently raised $1.5 million in a Kickstarter campaign earlier this year. Ross says the company also just raised a “sizable seed round that’s unannounced. An earlier SEC filing suggests the amount is $2 million.